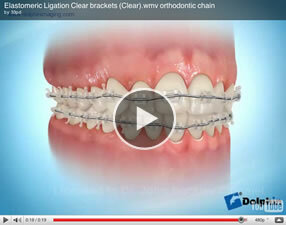 Ceramic braces or plastic braces or clear braces are an alternative to metal braces . Their big advantage is that they are less obvious than metal braces. They are popular with older teenagers and adults. Please see this video clip.